Welcome back, everyone! Did you all have a good Thanksgiving? Coming hot off the heels of Small Business Saturday (and the Staff Cookie Battle) we've got a ton of stuff to talk about. Let's dive in! The River is the latest game from Days of Wonder, a bright and cheerful worker-placement game with a unique twist. 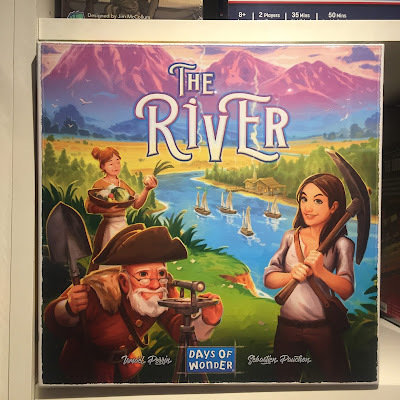 Players take on the role of river-boat captains and aspiring mayors, setting out along a bendy stretch of river to build a new town. Placing workers allows you to harvest resources, which can be spent improving your town. Be careful, though--as the town improves, your workers will leave to boat and move in for good, permanently reducing your production capacity! The River is a careful balancing act that will end in victory for the most beautiful and happy town along the riverbanks. Election Night is a new educational game of math and electoral strategy. In it, players use their dice rolls to do equations, aiming to add up to a state's number and secure its vote. 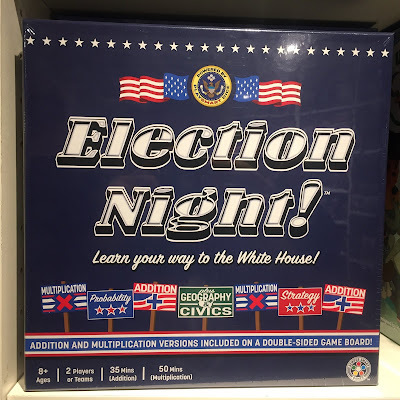 It's a great game for learning math, as well as a lesson on our democracy. It is the middle of the 17th Century and the Renaissance is in full bloom. Across Europe, universities play host to an unprecedented age of intellectual ferment. In the next few decades, the foundations of modern science will be laid, and the men and women who lay them will become titans, legends of learning. In Newton, players become one of these seekers of truth and glory. From a lowly apprentice, you must hone your theories and develop your career. 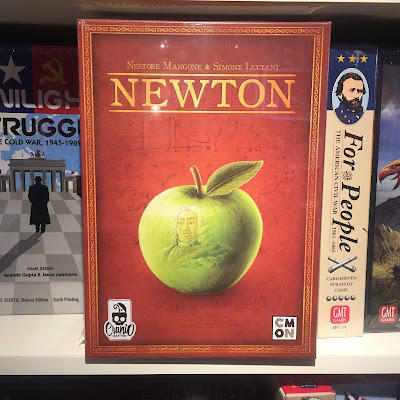 Through constant effort and brilliant deduction, you can become the next Newton. 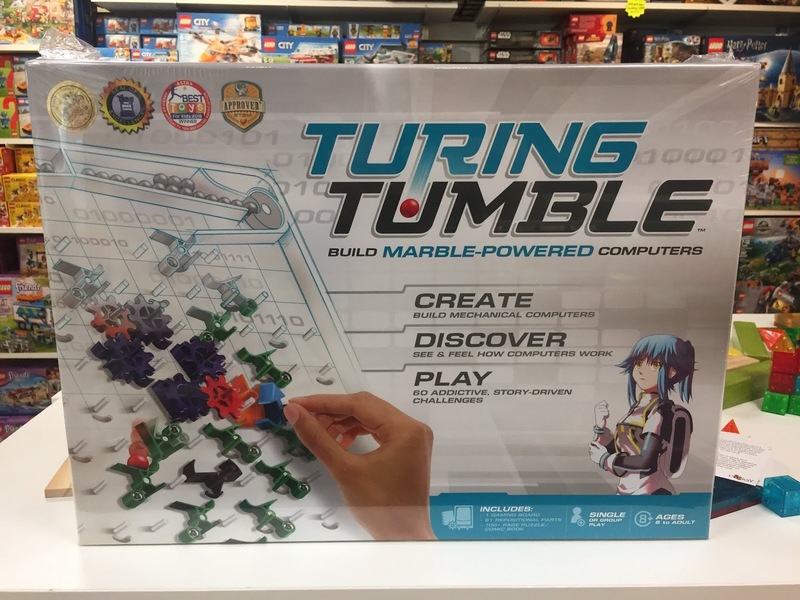 Turing Tumble is a brilliant new construction toy and logic puzzle that teaches players the basic concepts of programming and computing in a tactile way. The gameboard is a slanted ramp studded with dozens of pins. Players add on gears, gates, and other gadgets that catch and direct the delivery of the "bits:, small plastic marbles falling from above. Quite literally, you construct a physical computer. This gadget is endlessly fascinating for all ages. 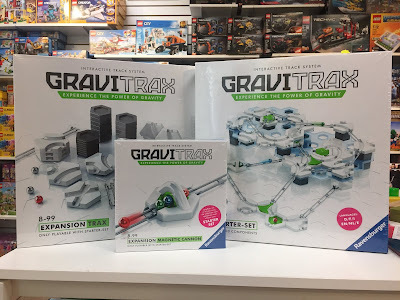 Gravitrax is another new construction toy, this one all about building the most elaborate marble runs you can imagine. 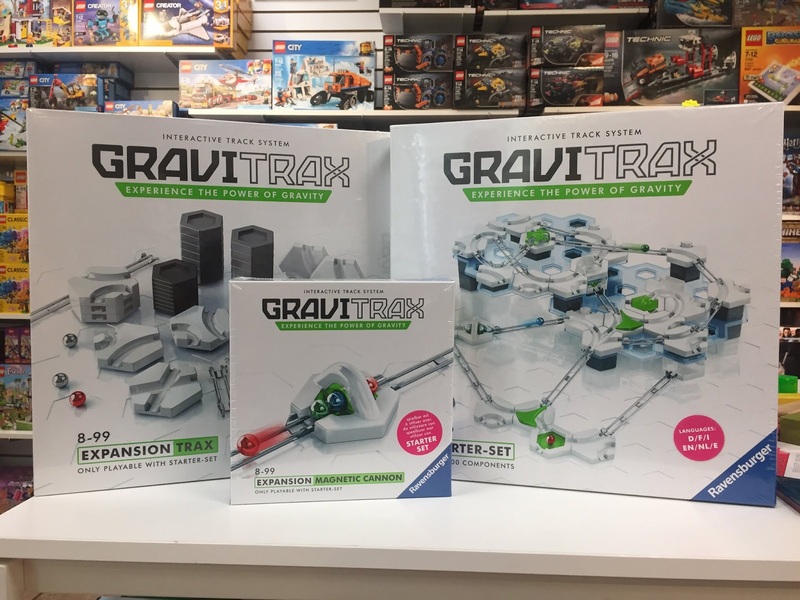 Based around metal rails and hexagonal blocks, you can assemble anything from a placid loop to a wild roller coaster. Give it a try! The high-altitude game of llama trading and development, Altiplano, has received an expansion: The Traveler. The titular Traveler has wandered into the Altiplano plateau, bringing with him strange new ideas and techniques. The Traveler is a set of modular expansions, which can be added separately or together to the base game. 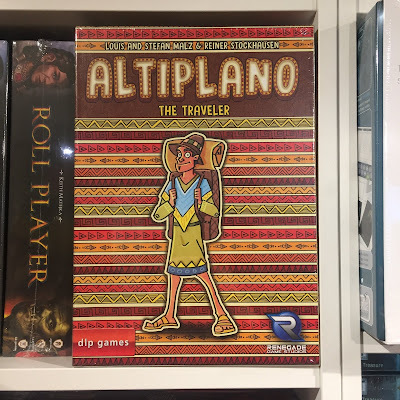 If you want to deepen your copy of Altiplano, The Traveler is the ideal box for you. Condottiere is an abstract war game set in 1500s Italy. when city states struggled for dominance with the use of vast mercenary armies. Players must control 3 territories to win, but each battle is a tense contest of wills, where players must commit their forces carefully or risk squandering them in a fruitless battle. 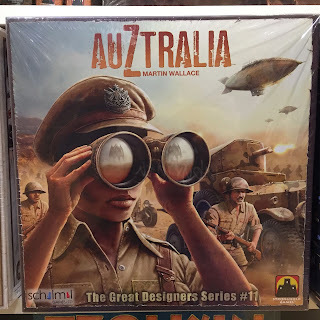 With simple rules leading to deep strategy, it's an excellent game for fans of the genre. Railroad Ink is a fascinating game of art and optimization. Each player recieves a dry-erase board, with a grid of empty spaces lined with railway exit. Your objective: to make the most complete railway system of all, connecting the most exits together. This is done by rolling a set of "railway dice": dice with each face depicting a configuration of track. 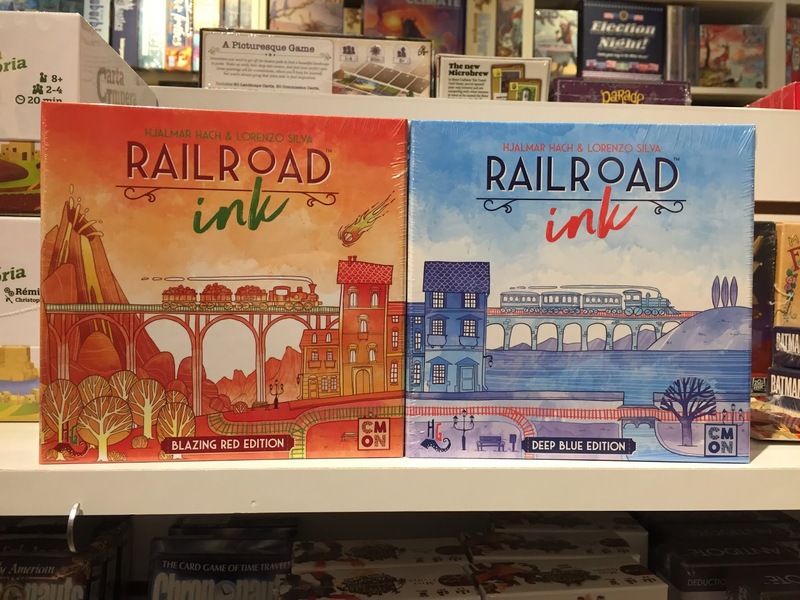 With these common, randomized building blocks, you will all draw your railways, attempting to find the optimal configuration. The game comes in two variants: Blazing Red and Deep Blue. Each comes with two unique expansions that add unique edits to the game. If you have an architectural mind or an artistic bent, don't skip this game! 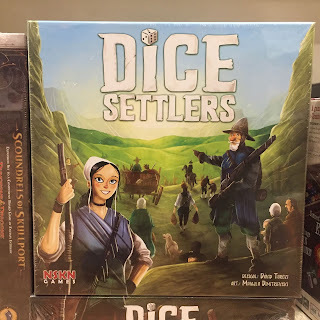 Dice Settlers is another game of town building and wilderness exploration, with a twist. The game centers around your pool of dice, kept in a bag and drawn from each round. 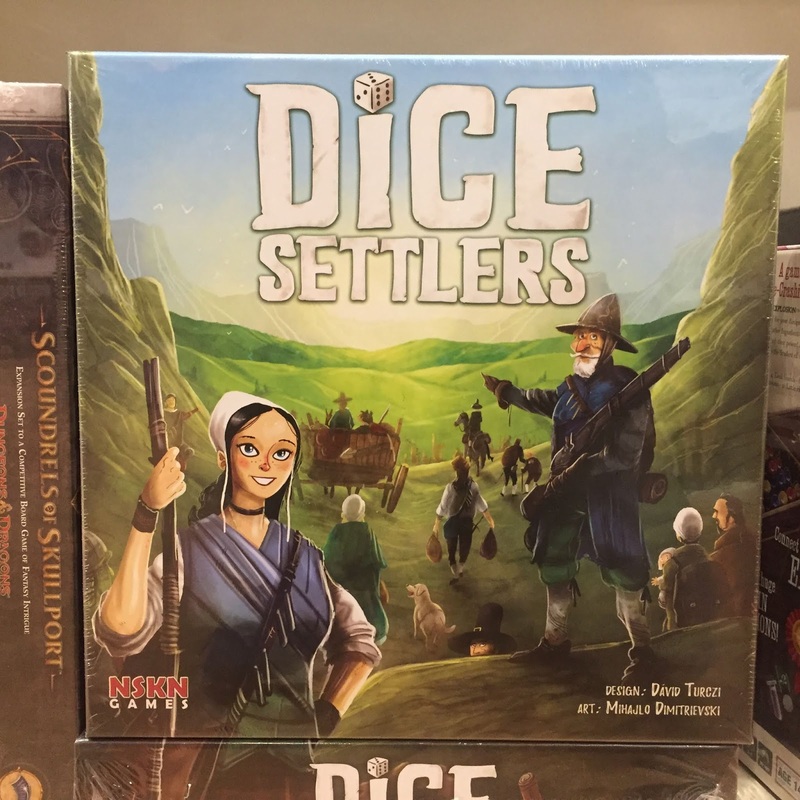 Actions rolled with these dice let you take new resources and develop your pool in more specialized directions. 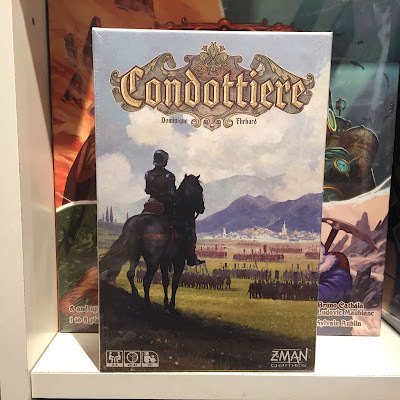 Area control, pool building, and resource gathering combine to make an excellent, flavorful game. AuZtrailia is a solitaire-style strategy game set in an alternate version of the 1930s. The northern hemisphere has been poisoned by dark powers, and so humanity heads south. But in the outbacks of Australia, the Old Ones are rising. Build your infrastructure across the barren outback and bring the fight to them. 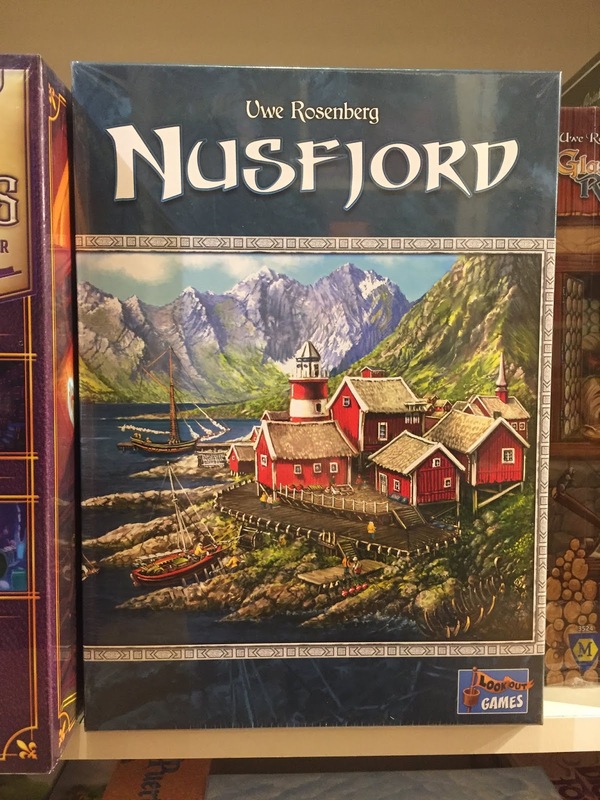 Nusfjord is the latest game from the famed and prolific German designer Uwe Rosenberg. 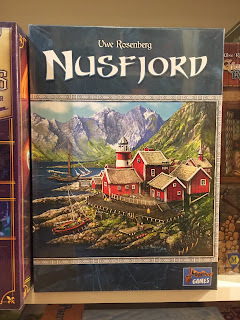 Set in the pastoral Norwegian village of Nusfjord, back in its fishing-boom heyday, players must carefully assign their workers in order to develop their districts to the pinnacle of productivity. Only the wisest mayor may win! Finally, we come to New California, the new expansion for the Fallout board game. 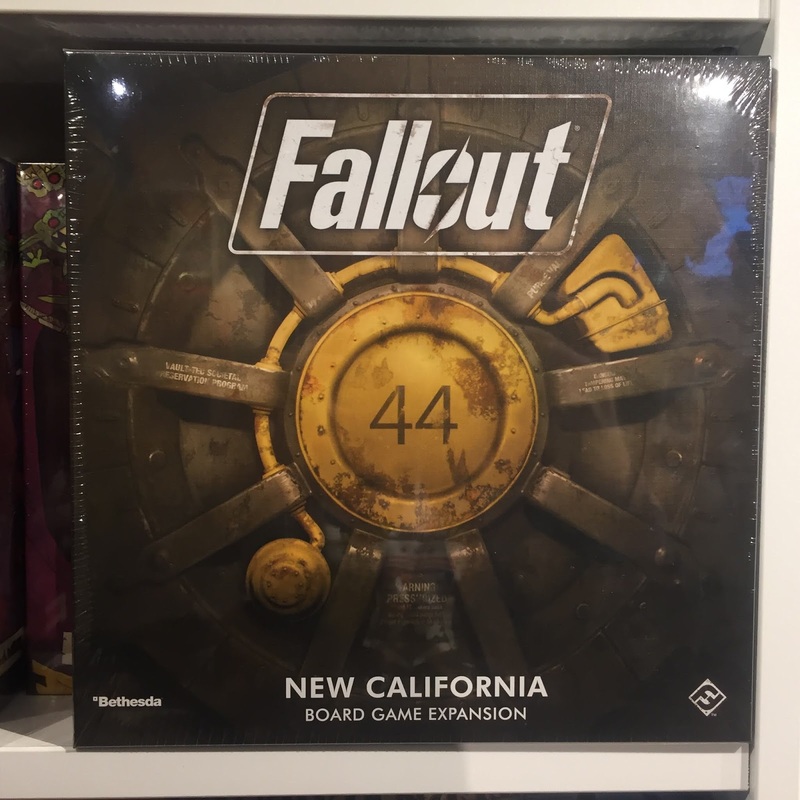 With new quests, characters, items, and entire new location to visit, this massive expansion transforms the game of Fallout. From the gloomy wastelands to the sunny shores of New California, quest for glory and caps through the most memorable locations of the franchise. And that's all we've got for this week. Tune in Next Week for more What's New at Labyrinth!